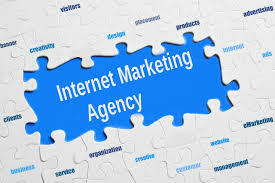 Home > Blog > Internet Marketing > Is Your Internet Marketing Agency The Real Deal? Is Your Internet Marketing Agency The Real Deal? For the past three years we have met a lot of business owners in Durban and have been disappointed at how some of them have been treated by their online marketing company, website company or digital agency. The fact that there are quite a few unscrupulous people in our industry, is a real concern for us because it gives the whole industry a bad name. Of course there are less than ethical people in all spheres of business but since online is our game, we’ll be focusing in on this. So what makes Digital such as easy target for the fraudsters? Well, it seems that clients feel like they don’t have enough knowledge on exactly what online marketing services should be achieving and what, as clients, they should be paying. This leaves clients quite vulnerable and extends from small business to big corporate clients who outsource their digital work. We have a few ideas on what you can look for when hiring an online marketing or digital agency. The tall tales. “We are the only company/individual qualified to sell Google advertising”. Have you heard this before? We say run for the hills if this is what is being sold to you. This statement is simply not true. There is a program run by Google called Google partners and agencies can sign up to be a part of this program. We do not think this guarantees ethical commitments from your agency but it is a bonus feature. Search for Google partners here https://www.google.com/partners/ and there might also be a logo on the online marketing company’s website. Being a Google partner also means that the employees are Google qualified which means they have written the exams set by Google. Over-promising. “We guarantee top position on Google’s organic pages for your keywords” We are very wary of agencies who offer guaranteed top positions in SEO (Search Engine Optimisation) because Google decides which results to show for various keywords. Getting a top position for a paid advert is possible but it is not guaranteed that you will get a top position for an organic listing. The idea here is to check you potential agencies work for results or ask for examples of good SEO rankings in Google. Research the company. There are a number of ways to “check up” on a company to see if they are reputable and offer a genuine service. I would check “hello peter” which is not always accurate on the complaints logged against companies but an indication that something might be a bit suspect. Check the company’s social media pages, if they are selling social media services but have no social media presence themselves, I would be concerned. Google them, do they appear on Google or can you see visibility of their clients. These are just some of the ways you as the client could get a feel of what kind of company you are going to do business with. There are many agencies in Durban who offer excellent and ethical services in all types of digital. Unfortunately there are also sharks swimming amongst them. As a client, keep your wits about you and remember if it sounds too good to be true, it probably is.